NEW ALBANY, Ind. – Indiana University Southeast is proud to announce three recipients of the 2019 Chancellor’s Medallion. Wendy Dant Chesser, president and CEO of One Southern Indiana, Jerry Finn, executive director of the Horseshoe Foundation of Floyd County and Alice Miles, president of Friends of the Town Clock Church, will be honored April 6, 2019, at the Chancellor’s Medallion Dinner at Horseshoe Southern Indiana. The Chancellor’s Medallion is the highest honor presented by the Chancellor of IU Southeast. It is given to individuals who have rendered distinguished service to the university and to the community; have given their talents in the promotion of human welfare and community well-being; and who, through their integrity, sensitivity, and commitment, serve as models for students and alumni of IU Southeast. To date, 51 of these awards have been presented. 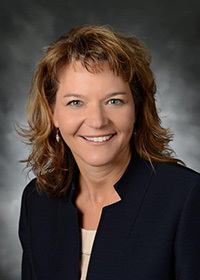 Wendy Dant Chesser is the President and CEO of One Southern Indiana, an organization dedicated to providing the connections, resources and services that help businesses innovate and thrive in the region. Formerly, Wendy served as president of Cornerstone Alliance, a similar organization to One Southern Indiana in Michigan. Prior to her move to Michigan, she worked in various aspects of economic development for over seven years within Indiana and spent the last year of her government career as deputy executive director for Program Operations of the Indiana Department of Commerce. Wendy currently serves as a chairperson for the Indiana Economic Development Association, after serving as legislative chair for three years. Locally, she serves on the Boards of Directors for the Kentucky Derby Festival, the Louisville Zoo Foundation, Ivy Tech-Sellersburg Trustees, Greater Louisville, Inc., Align Southern Indiana, Falls of the Ohio Foundation and Louisville’s Regional Airlift Development. Wendy received her Bachelor of Science in business management from Indiana University Southeast in 1991. She and her daughter, Joslyn, reside in Jeffersonville. Jerry is the executive director of the Horseshoe Foundation of Floyd County. He holds two undergraduate degrees from Indiana University and a master’s degree in theological studies from the St. Meinrad School of Theology. In addition to his role at Horseshoe Foundation, he serves as co-chair of the Southern Indiana Mentoring Partnership and Treasurer of the Friends of the Town Clock Church. 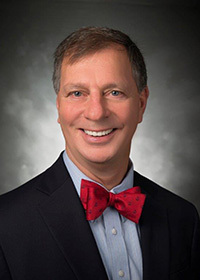 He is also a member of the Metro United Way Advisory Council, the Donors Forum of Kentuckiana and he is a founding member of the New Albany-Floyd County Education Foundation and the Rotary Club of New Albany. Past service includes vice president of Keep New Albany Clean and Green, a trainer for the Youth Philanthropy Initiative of Indiana, the Governor’s Bi-State Bridge Authority for Louisville and Indiana, One Southern Indiana Board of Directors and as a medical corpsman in the Indiana National Guard and Captain in the US Army Reserve. Jerry has mentored four students in the NAFC School system for six years. A father of four and grandfather of three, he and his wife Jill, live in Starlight, Indiana in his family’s ancestral 1839 home. Alice Miles is a native of New Albany, Indiana. She received a Bachelor of Science degree in Nursing from Nazareth College. Alice worked as a nurse for several years before becoming the Multi-Cultural Outreach Specialist with the Community Foundation of Southern Indiana (CFSI) in 2007. In this role, Alice developed a Multi-Cultural Outreach Council (MCOC), including ethnically diverse persons representing the areas of education, business, community volunteers and community residents. 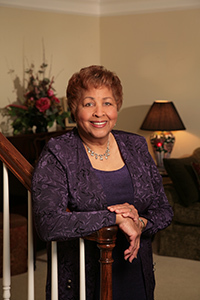 Alice has served as president of several organizations including Altrusa International Club of New Albany, which focuses on literacy in the local community, and Friends of the Town Clock Church, which is responsible for the restoration of Second Baptist Church, known to have a historically significant connection to the Underground Railroad. Alice is also a founding member of the Women’s Foundation of Southern Indiana (WFSI) and served as president from 2009-2011. Alice has been a member of the Floyd County Health Board since 2006 and has also served on the board of Friends of Division Street School, which works to preserve and maintain the restoration of one of the oldest remaining African American schools in Indiana. Alice has received the Anna Katherine Hickerson Diversity Award, the Woman of Distinction Award from the Center for Women and Families, The New Albany Floyd County Schools Award of Appreciation, and she was inducted into the New Albany High School Hall of Fame. In 2017, Alice and her husband Jerry were the first couple to receive the New Albany Rotary Club Toast Award. Alice and Jerry share a great appreciation for education and have established a scholarship at Indiana University Southeast for students majoring in nursing or business. The Chancellor’s Medallion Dinner will be held Saturday, April 6, 2019, at Horseshoe Southern Indiana. Proceeds from the Chancellor’s Medallion Dinner benefit the Chancellor’s Medallion Scholarship program. For ticket information and sponsorship opportunities, contact the IU Southeast Office of Development at 812-941-2464.